Here at TechRadar we want to help you find the best tech to suit your gadget needs at an affordable price, so we've completely re-thought and overhauled our best fitness tracker ranking. Fitness trackers have consistently improved since their inception and in 2017 there a lot of affordable options out there that do everything the high-end devices already do, but for a lot less money. For that reason we’ve rejigged our best fitness band ranking to better reflect the price of the gadgets you wear on the end of your wrist. Price is now a major element of how we rank fitness trackers, but we also take into account the design, battery life and workout capabilities of each device. 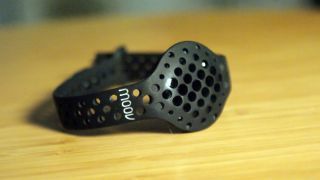 The reworking now means the Moov Now is our favorite fitness tracker in the world right now. It offers everything we expect from a fitness tracker at the super low price of only $60/£50/AU$79. That's then followed by the Samsung Gear Fit 2, which offers a beautiful AMOLED screen as well as GPS tracking, a heart-rate monitor and all the other fitness features we'd expect from a wrist-based tracker. Then in third place is the Garmin Vivosmart HR+. We praised the Garmin for its full fitness package and an innovative app that makes it a great buy for running enthusiasts. To see the other seven entries in our best fitness tracker list, head over to the full article here.